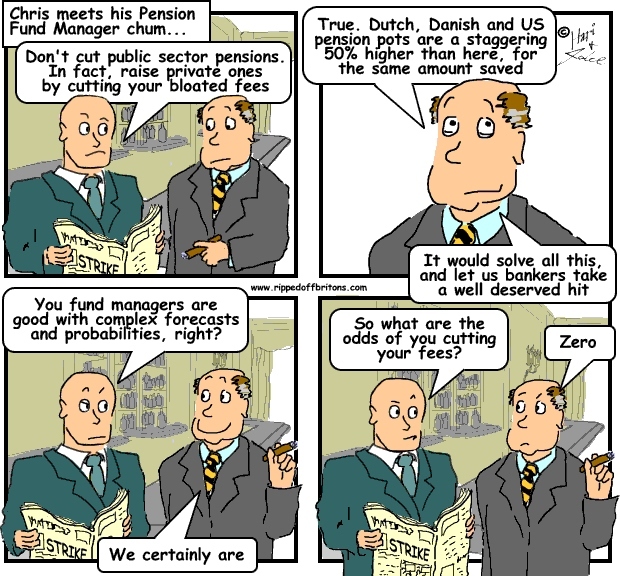 Is the 'pensions crisis' really our own fault? Caused by us not saving enough, and not dropping dead soon enough? Is it because we fail to build up our pension pots in the good times, when we are working, to fund our modestly comfortable retirements? This post by our guest author, Dr. Ros Altmann CBE, explains how our pension funds have been raided since the 1980s by successive governments seeking taxes, and by employers taking "contribution holidays" and legally diverting money from the staff pension funds into their companies. Raids that were justified by the accountants and actuaries who declared our pensions were in surplus and could actually afford to shed money! Dr. Altmann is an independent expert on consumer finance, pensions, retirement, care funding and economic policy. She is an advisor to governments, corporations and industry bodies. In July 2014 she was appointed as the UK Government's Older Workers Business Champion. We used to have a pension system that was the envy of the rest of the world. This system is now crumbling and companies are moving away from final salary occupational pension provision. Not only this, but many thousands of people, who thought they had a 'guaranteed' pension and had been relying on their employer's pension promise, have suddenly found that this pension has disappeared. The Press have been trying to blame Gordon Brown's removal of Advanced Corporation Tax (ACT) relief in 1997 for the problems, but this is simply not true. There are many, many reasons why our pension schemes are in trouble. It is not possible to point to just one or two factors. Responsibility is widely spread. The Tory Government, under Nigel Lawson's Chancellorship, made a big mistake when it decided to tax pension fund surpluses in the late 1980's. These surpluses should have been allowed to build up, in order to cover schemes for times when markets turned down and/or when more and more people retired and needed to receive pensions from the scheme. Essentially, we have failed to let the surpluses build up and they are just not there when we need them. After this, successive Tory Governments piled on more and more costs, thinking pension schemes would always be able to afford to pay more out, because they still had big surpluses. Of course, the reason pension funds had the surpluses was because not many people were actually drawing pensions yet (there were far more people contributing than numbers retired) and also because equity returns had been unusually high and scheme assets had grown faster than expected. But the pool of assets was too tempting for politicians to resist. They kept wanting to pile more costs onto pension schemes, (partly perhaps as a way of hoping to reduce the future costs to the Exchequer of supporting an ageing population), but in the process making pensions more and more expensive for companies to provide. Then the Tories made the many mistakes surrounding the 1995 Pensions Act. This Act came into effect in 1997 and forced all employers to guarantee to pay fully index-linked pensions to all members (up to 5%). On top of the many other mandatory requirements (like spouse cover, preservation and revaluation for deferred members etc which had been introduced over the years) this added enormously to the costs of providing pensions. The measures are all, in themselves, excellent for members but, by making them compulsory, there was no 'safety valve' in the system. If investment returns fell, or if the employer's business was in trouble for a couple of years, they could not escape these extra costs. The 1995 Act also introduced the Minimum Funding Requirement (MFR) and regulations requiring more costs to prepare Statements of Investment Principles, pay for compliance and regulatory expenses etc. These measures again were intended to benefit members and make pensions 'safer', but added to the costs of running the schemes. In addition, of course, they had the terrible effect of leading people to believe that their scheme assets were safe if it was 'fully funded' on the MFR for example. The 1995 Act also introduced the iniquitous priority order rules, which mean people not yet retired can end up losing all their pension! No provision was made to protect pensions of those very close to retirement, or to protect monies transferred in from other employers' schemes. Finally, of course, this Government removed ACT relief altogether - but this had already been reduced by the Tories during the 1990's, so it is not entirely fair to blame all on Gordon Brown. Overall, successive Governments have conspired to make our pensions more and more expensive and legislation has made them less safe. Even though funding requirements were introduced and a regulator (OPRA) and an Ombudsman were set up to oversee the system, the law did not actually have proper safeguards to ensure people would receive the pension they were promised. Then we come to the role of employers. They too could not resist getting their hands on the tempting pool of assets sitting in the pension funds. They used these to hide the costs of industrial restructuring in the 1980's and 1990's, by giving people generous early retirement benefits (paid for by the pension scheme). This also led other members to expect to be able to retire early, which, of course, means that the pensions have to be paid for longer and longer, as life expectancy has continued to rise. Employers took contribution holidays. This is a real problem, because they should have kept paying in to build up assets to cover for times like now, when markets and investments go wrong, while more and more pensions still need to be paid. The employers relied on actuarial assumptions that showed equity returns would deliver strong growth consistently over time and, therefore, make the pension promises seem affordable. Which brings us to the role of the actuaries and trustees. Actuaries' forecasts allowed schemes to take contribution holidays and trustees trusted their actuarial advisers to give them reliable forecasts of what contribution rates should be recommended to employers. If the actuaries said the employer could take a contribution holiday and still afford to pay the promised pensions, the trustees didn't question this. They did not think to ask the actuaries, how it could be that there were more and more people retiring, the costs of providing pensions were rising, equity returns had been very strong and yet think this could just be relied on to continue into the foreseeable future. Equities should not have been relied on to keep providing strong returns. As markets rose and schemes became more mature, the equity component should have been reduced, but instead it was actually increased! In addition, people are living much longer and expecting to retire earlier and earlier. Pensions were never meant to last for 30 or 40 years. Yet the pensions industry fooled itself into thinking that it could provide really good pensions with not very high contributions. Finally, of course, interest rates have fallen to very low levels and this has meant the costs of providing pensions - especially via annuities - has rocketed. All these factors have come together to leave us in the mess we are in today. You cannot just blame the Government, or the employers, or the actuaries, or the trustees, or the investment managers. The whole industry must share the blame and it is time to get real. 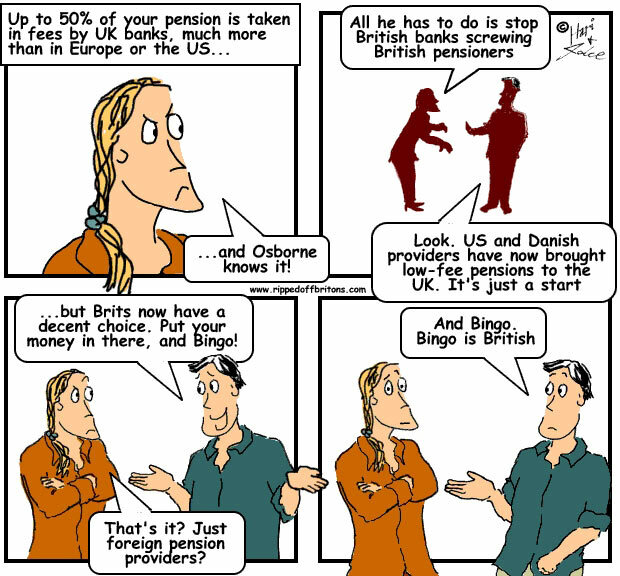 The system is not working and must be sorted out, to help provide decent pensions for people in future. We have been deluding ourselves perhaps, to truly think that companies can afford these kinds of open-ended liabilities for ever without keeping aside enough money to pay for them. Especially with all the extra costs we have piled on over the years. I think the latest measures announced by this Government have been an excellent first step along the road to getting a better and safer pension system in place in the UK. 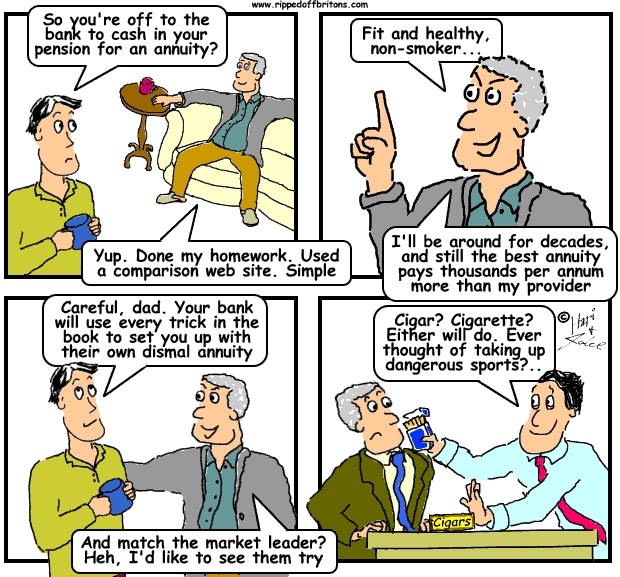 If we are moving away from defined benefit and final salary schemes - which seems inevitable - then we must make sure we spend time to structure alternative money purchase arrangements properly, help people to think about gradually retiring, rather than suddenly stopping work in their 50's and protecting people whose employers have promised to pay them a particular level of pension. Those who lost their pensions with no warning, while thinking they were properly protected by the law, should be compensated and we should make sure this does not happen to anyone else in future. We are closer to this today than we were last week and that, for me, is good news! All seems pretty right. Incompetence & greed from top to bottom. If I had not saved something every year of my life OUTSIDE a pension scheme, even when for years I was on £11-25 per week in the 60s and 70s, I would now be just scraping by. I was forced into a private pension scheme by the co I worked for around 1991. And the entire first year contribution of c. £3000 went to the financial "advisor" who did not know as much as I did. But I was forced to go through him. And the year I "retired" the stock market collapsed, as did interest rates. The pension value fell by c. 35 per cent, and the proposed annuity by over 50 per cent. I never took it. Now it seems I'll be able to access it next year, in stages without being forced to take a derisory annual sum. That's the one good thing about the entire mess. Anonymous - because I comment on economic, social & political matters and I don't want to confuse personal issues with the general. "Of course, the reason pension funds had the surpluses was because not many people were actually drawing pensions yet"
That doesn't make sense. The pension fund's liability will take into account the cost of funding retirement for active members as well as pensioners, and this is deducted from assets to give the surplus. What you are describing isn't the surplus.